Local news can be informative, hard-hitting, and essential. It can also be really, really dumb. 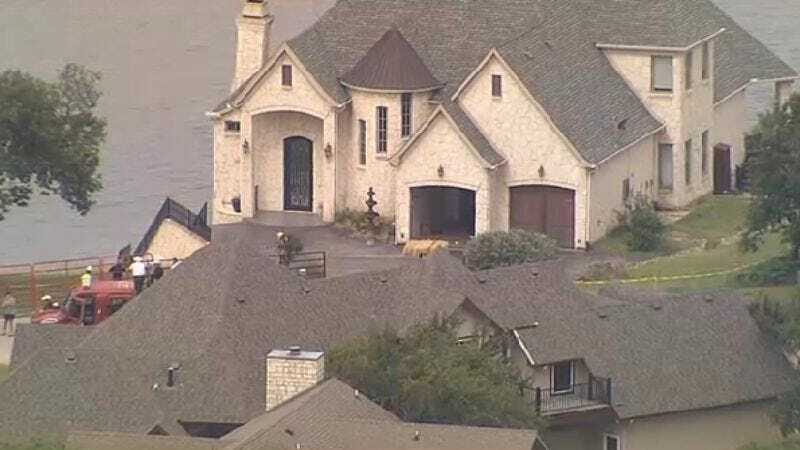 Right now, all the local TV news affiliates in the Dallas-Fort Worth area are live-streaming video of a house that’s teetering over the area’s Lake Whitney and will shortly be set on fire. The fire will somehow involve flaming hay bales which, in a perfect world, would be set ablaze using flaming arrows, though we’re sure the whole thing will go down in a much more controlled and less exciting fashion. Either way, it’s pretty fun to watch this whole thing go down as white-hatted sheriffs and yellow-vested city workers meander around this marooned mansion.